My skin has been acting up recently and my god it's in a terrible state. 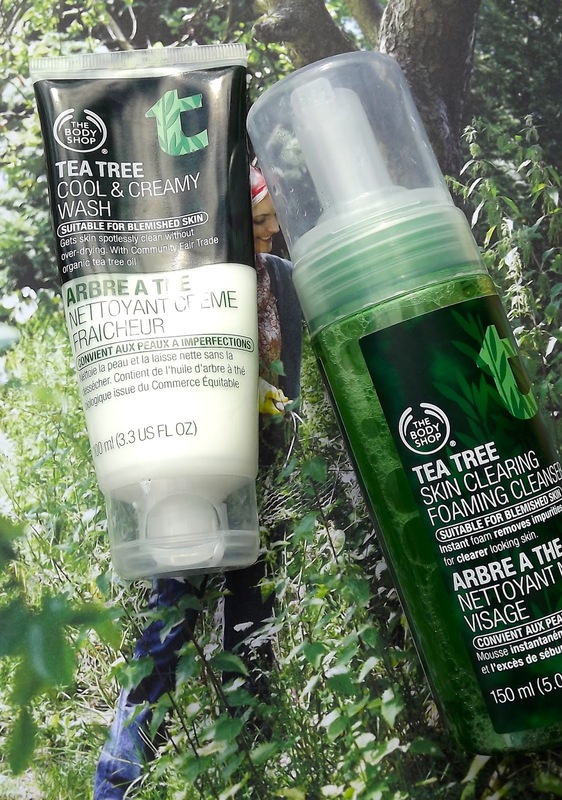 I decided to pick up something from the Tea Tree range at The Body Shop because I have heard a lot of good things about the range especially for blemish prone skin. 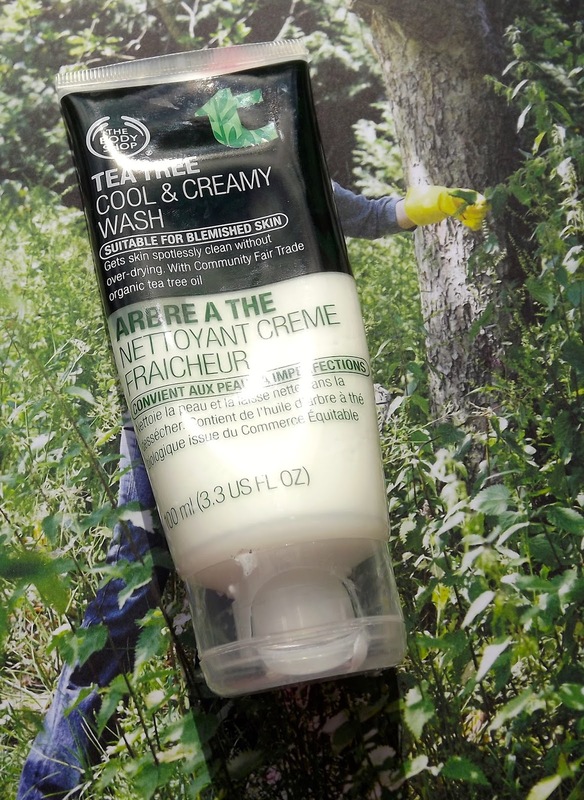 I picked up the Tea Tree Cool & Creamy Wash and the Tea Tree Skin Clearing Foaming Cleanser. The Tea Tree range at The Body Shop is formulated for oily blemish prone skin, it uses organic tea tree oil which control blemishes. The products in the range also contain tamanu oil which aid the healing of the skin and prevents scarring. I normally stay away from foaming cleanser, because I find that they leave my face really dry but my skin has become slightly more oilier so I decided to give it a go. I was really surprised because it didn't leave my skin dry at all, it left my skin feeling clean and refreshed. I have been using it at least twice a week, and I have found that it has really controlled the excess oiliness I usually get in the summer. I think it has contributed in controlling new blemishes, because I have got less blemishes since I have included this cleanser in my routine. I like to use in the morning because it leaves my face feeling awake and refreshed. I really love the consistency of this cleanser, even though my skin has been slightly more oilier it's still quite dry. The consistency of this cleanser is quite thick and creamy which feels really nice on the skin and makes the application easy and soothing. It leaves my face feeling really soft and nourished without leaving it feeling greasy. This cleanser has the strongest scent ever ( both these cleansers do), which I kinda like and it tingles ever so slightly. This cleanser is so perfect for the summer as it is really soothing and cooling, I am guessing that is because of the added menthol. I have been using this cleanser nearly every morning and I have seen some change in my skin's condition for the better. I will continue to use this cleanser especially since I have been eating for it over all my other skins. I have been loving using these cleanser, they are perfect for the warmer weather and more specially in the mornings because they leave your skin feeling really refreshed and cool. I wouldn't recommend the foaming cleanser to those with dry skin because I feel that it would be to drying but the cool & creamy wash is definitely for all skin types. They have definitely become permanent fixtures in summer skincare routine. 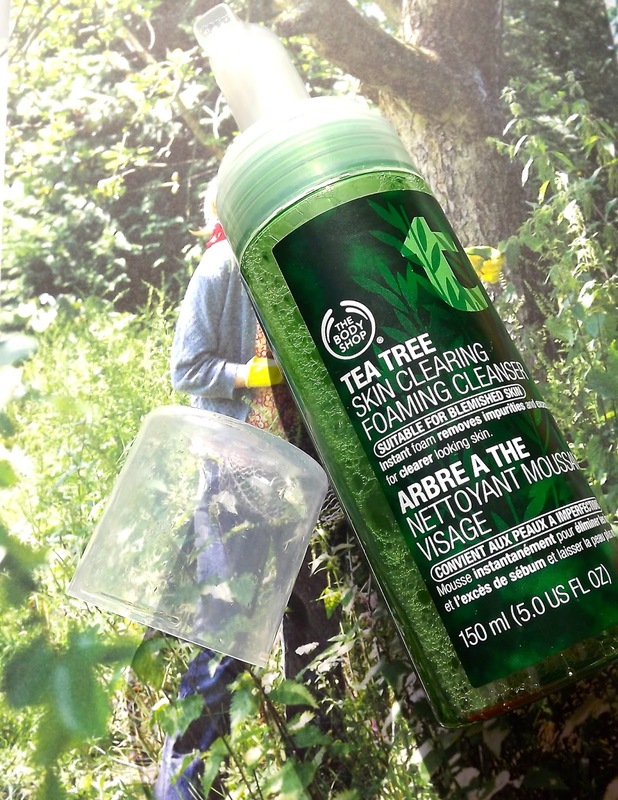 Have you tried anything from the Tea Tree range at The Body Shop ? I've never tried anything from this range before, but I really love Lush's Tea Tree toner!